Unlike many bikers who get into racing after watching their family in action, it was actually watching Mike Hailwood in his inspiring comeback in the 1978 Isle of Man TT that set Bruce on his journey. With a Manx mother, Bruce’s racing career started in 1990, where he competed at the Cemetery Circuit of Wanganui in New Zealand. After winning his National Championship, Bruce made his Isle of Man TT debut in 1996, where he placed 29th in the Lightweight TT and DNF in the Senior race and he returned two years later to finish 26th in the wet Lightweight TT and 20th in the Senior. However, having set the fifth fastest lap in practice on his 250 Yamaha for the Lightweight race, he really made the paddock sit up and take note. Being the man that inspired Bruce Anstey’s career, we have no doubt Mike Hailwood is his idol. Many riders say their first TT podiums and race wins are the highlight of their career and these came in the space of two years for Anstey. The Lightweight TT in 2000 saw Bruce on the podium for the first time where he placed second behind the legendary Joey Dunlop and with no TT meeting in 2001, due to the foot and mouth epidemic, he came back in 2002 where he scored his first TT win with victory in the 250cc race of 2002. He recorded, at the time, the second fastest 250cc lap ever and it was a good week all round as he also finished second in the Production 600 race, third in the Production 1000 and 10th in the Ultra-Lightweight 125cc. Since then Bruce has added to this with eleven more TT wins, making it 12 in total, which puts him seventh on the all-time winners leaderboard, one place and two wins behind the man who inspired him to race, Mike Hailwood (14 TT wins). His tally of 37 podiums is the third highest of all time, only bettered by John McGuinness (46) and Joey Dunlop (40) whilst his fastest lap of the Mountain Course of 132.298mph, places him seventh quickest on the all-time list. It is not only the TT where Bruce has had success; he has won the North West 200 a total of ten times with his first win coming in his debut year at the meeting in 2002, when he shocked the paddock with victory in the Production 1000cc race. Ten race wins sees Bruce sixth on the all-time NW200 winners list, which is led by Alistair Seeley (21 wins). The Ulster Grand Prix has also been one of Bruce’s most successful meetings and up until 2016 he’d held the outright lap record for six years. He took his first win at Dundrod in 2004 and now has a total of 13 victories around the high-speed circuit, his most recent coming in a stunning Superbike race in 2017. 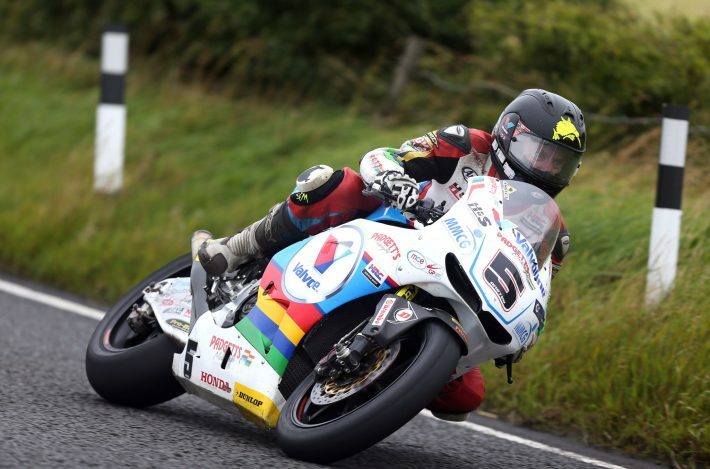 Without doubt, Anstey is one of the greatest road racers of his generation and can also be seen as one of the best and most consistent road racers in history. From 2002 onwards he has been regularly on the rostrum at the three most prestigious races in road racing, the Isle of Man TT, North West 200 and Ulster GP. Despite approaching 50, he shows no signs of slowing down either as seen by his performances in 2017 which included victory in the TT Zero and Ulster Grand Prix Superbike races as well as becoming the first man to lap the Mountain Course at more than 120mph on a 250cc machine on his way to victory in the Lightweight Classic TT race. 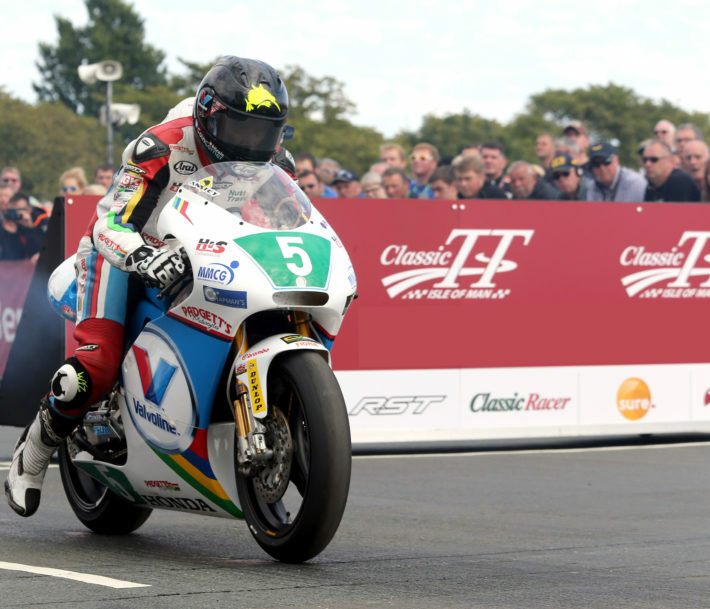 Sadly, Bruce Anstey was forced to sit the 2018 road racing season out as he battled cancer but it was great to see him complete an emotional parade lap at the Classic TT in August . We wish Bruce all the best with his recovery and hope to see the legendary racer on the roads again soon.